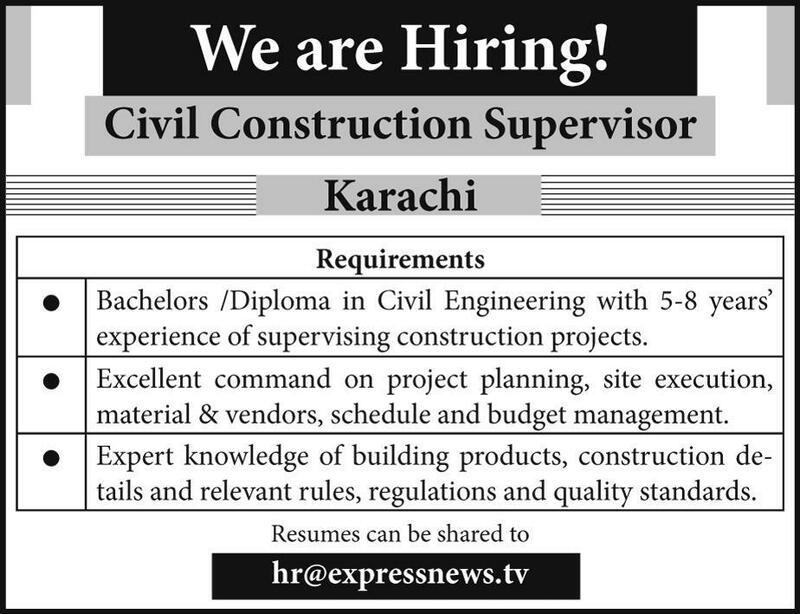 The Express TV Channel (Pvt) Ltd. Karachi Sindh. • Bachelors /Diploma in Civil Engineering with 5-8 years' experience in supervising construction projects. • Excellent command on project planning, site execution, material & vendors, schedule and budget management.